Custom made jewellery, just the way you like it. At Time 4 Diamonds we understand that individual style is important to our clients. With this in mind we offer a number of services which help to achieve your requirements. Gem Setting; we are able to set into nearly all types of metals used to create watch cases and jewellery, this includes; Gold, Platinum, Stainless Steel and even Titanium if you require. We have Mastered working with Diamonds, however if you would like coloured stones such as Rubies, Sapphires or Emeralds we are very easily able to incorporate this into your design. Custom Dials; if you are after a distinctive look, ranging from print style, colour or artistic design, we are able to create this for you. In addition to this we are able to add 'Mother of Pearl' affects or set gem stones onto the dial. All dials produced at Time 4 Diamonds are done so with ultimate levels of detail and skill which would dramatically transform any timepiece. PVD & DLC Coating: the process is used to coat the base metal of the watch Black in colour. PVD (Physical Vapor Deposition) is our most requested process when asked for Blacked out watches. This is due to this type of application giving a very dark black appearance to the watch case or bracelet. DLC (Diamond Like Carbon) is also a coating we are able to apply if you prefer a more metallic dark grey look to the watch surface. Conversions and Recreations: Often when Swiss watch manufacturers create watch models they are in keeping of decades of if not centuries worth of horology and signature designs. The designs are not radically changed when updates to the physical appearance are made. At Time 4 Diamonds we are able to make updates to your existing timepiece in order to keep it looking current and up to date. 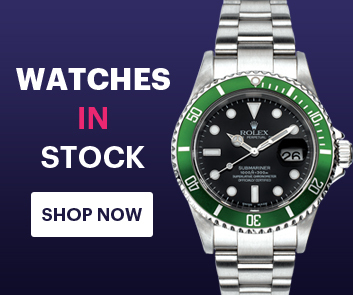 As an additional service we are able to upgrade your base watch to give it the appearance of a higher end and often more expensive variation of the watch model, if that is what you desire. At Time 4 Diamonds we are able to produce any bespoke design you can possibly imagine. If you can think it, then we can make it! All ideas you have will be discussed with a Watch and Jewellery expert who will then translate this using CAD (Computer Aided Design) programmes. Once the design has been approved by you, our Skilled Jeweller will start production and hand finish using precious metals of your choice and/or exquisitely selected gems. We understand that not everyone will have the same budget when creating a piece of jewellery so whether it is an engagement ring or just because…we are sure that we can meet those needs. With over 300,000 independently certified loose diamonds to choose from, you are sure to find exactly what you are looking for.